Energy Minister Yuval Steinitz said that recent escalations of tensions between Hamas and Israel may lead to a breakout of war. 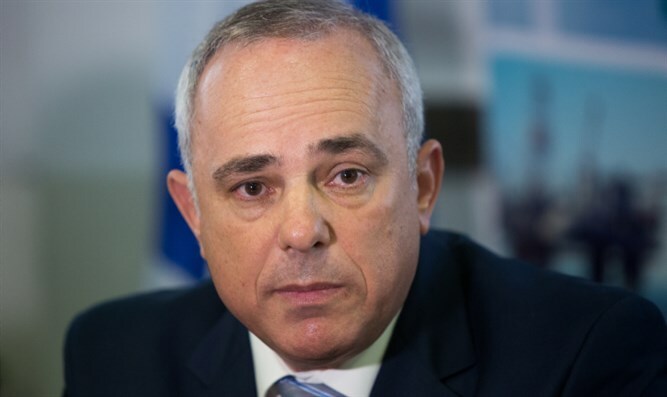 Israeli Energy Minister Yuval Steinitz (Likud) warned that recent escalations in violence between Israel and Hamas in the Gaza Strip region may lead to a conflagration of war, during an interview with Israel’s Reshet Bet. "The situation is going to be a quiet established under the framework of an agreement, or it will be a flare up that could be very severe including a broad military operation," Steinitz said. The violence rose to a point on Friday in which sniper fire from the Gaza Strip killed 21-year-old Givati brigade infantryman, Aviv Levi, who became the first IDF soldier to have been killed in fighting alongside the Gaza Strip since Operation Protective Edge in 2014. The IDF responded by striking more than Hamas targets in the Gaza Strip and killing several members of the terrorist organization. According to Israel’s Channel 10, Egypt had warned Hamas that any response on its part to the retaliatory strikes by the IDF would force Israel to go to war within two hours. The Energy Minister also touched upon the incompetence of the Palestinian Authority (PA) to govern over Arabs in Judea, Samaria as well as Gaza. “Almost 20 years after the establishment of the Palestinian Authority, we see its total failure,” Steinitz said, referencing the organization’s creation during the Oslo Process in the 1990s. The PA was handed the Gaza Strip after Israel withdrew all soldiers and Jewish residents from the area in 2005. However, by 2007, Hamas took control over Gaza after successfully kicking the PA out during clashes in the summer of 2007. “(The PA) is anti-Semitic and does not function democratically or economically,” Steinitz added.